Interactive Dreams: Did Memorex experiment with CD-i before or after they started with VIS? Did Memorex experiment with CD-i before or after they started with VIS? At one point the company was "Memorex Telex" as outlined in a dizzying tour-de-force of the development of disk drives, holding close lines with Philips who was producing home computers at that time. 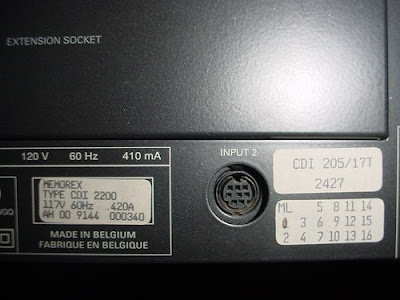 Memorex Telex N.V., a corporation based in The Netherlands, survived as an entity of the original Memorex until the middle 1990s. Unisys spun out the media, communications and IBM end user sales and service organization as Memorex. Subsequently Memorex merged with Telex. The company evolved into a provider of information technology solutions. 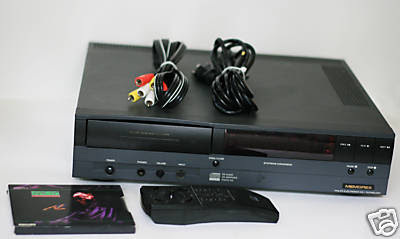 One of those solutions was to bring CD-i to places in the US as a OEM project. As far as I know the Memorex CD-i activities were limited to a OEM license. The fact Memorex standed out as a dutch company is a possible reason to expain the contacts with Philips.